One of my first LP when I was child. Thierry Martino : It’s at the age of 22 when in the navy that I really discovered the spirit of blues. I was stuck in Brest Britanny . During winter times it could rain during months without a piece of blue sky. Some friends were playing guitar, after I heard Muddy Water first tape , I picked up an harmonica at the music store and it was it. We were drinking cold beers smoking weed everynight and playing the blues. Discover “SoulFetish” world and its creator Thierry Martino. 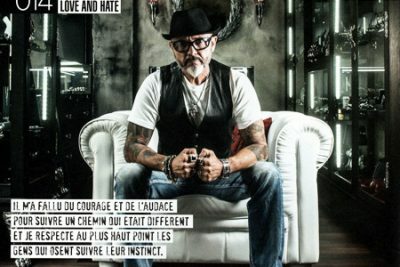 Visit SoulFetish new gallery and showroom, explore the new collections, understand Thierry Martino’s inspirations, and share some jewelry making secrets.